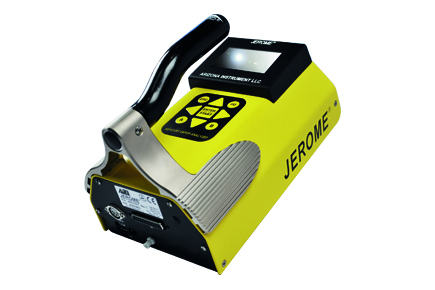 ABLE Instruments are Exclusive Representatives for AZI’s Jerome J405, which has redefined the portable mercury vapour analyser market. Outstanding low level performance and modern communications capabilities combine to create an unrivalled tool for mercury spill detection and clean-up analysis. The J405 utilises AZI’s industry-proven, inherently stable and reliable gold film sensor technology. The ergonomically-designed handle and light weight exterior case make it a robust, fully portable instrument. Its intuitive display and menu system make for simple operation. USB connectivity and onboard data logging capabilities eliminate the need for manual recording of sample data while performing survey work, minimise the amount time that personnel must spend in contaminated areas and provide excellent traceability on results.